Choose the 6 pack kit or the 24 pack kit. 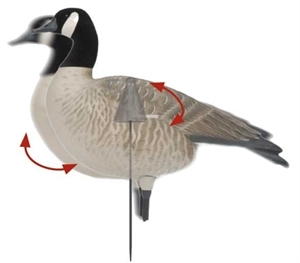 These Real Motion Kits by Greenhead Gear GHG Avery Outdoors are a great way to update your old decoys. Retro fit your old decoys...shells or fullbodies and make them move and wobble! These are the components that changed decoys forever! Now available for your personal upgrade.